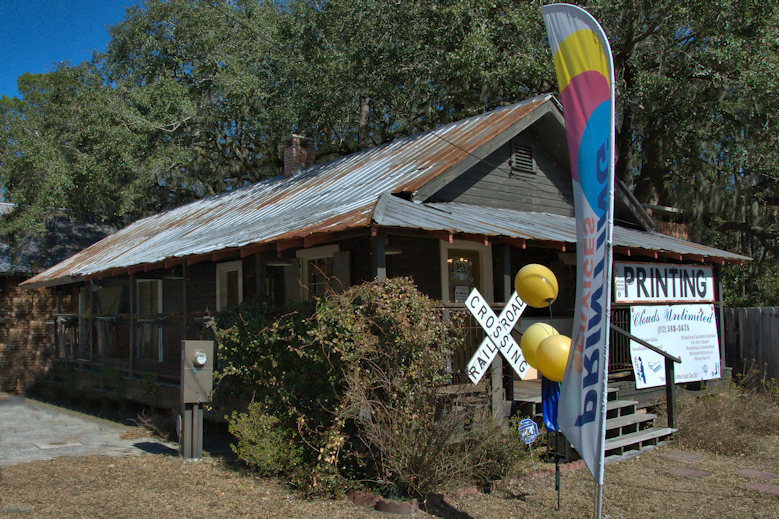 Originally located on Main Street, this depot was moved to its present location around 2005. The Flemington, Hinesville & Western had a line that ran five miles to the McIntosh community via Flemington and though intended to run as far as Glennville, never completed that route. It was renamed the Savannah, Hinesville & Western in 1916 and by 1917 was out of business as a commercial carrier. It was purchased by the Dunlevie Lumber Company in 1917 and operated as a lumber road for several years thereafter. It is presently home to a printing business. 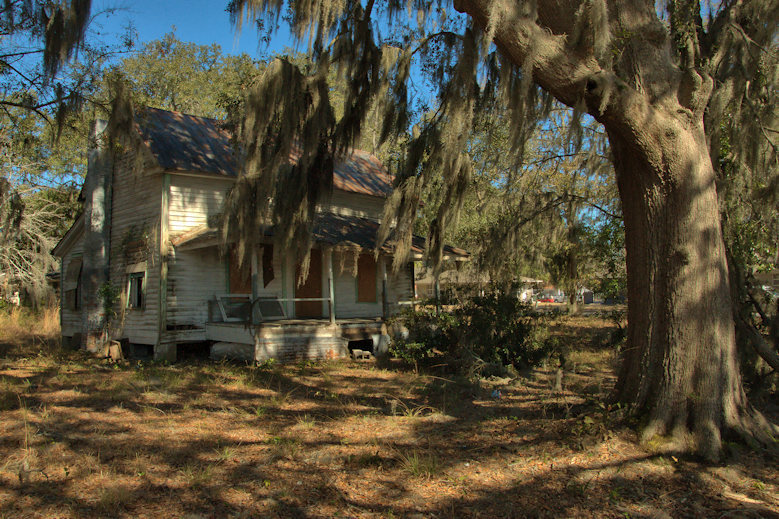 I believe this is one of the oldest houses still standing in Hinesville. I’ll update when I learn more. 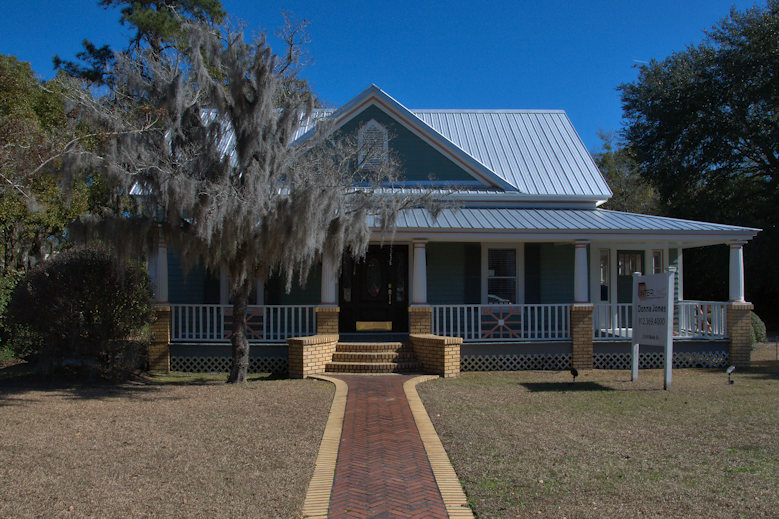 This house was built for E. C. and Ellen Long Caswell. It was purchased by Ernest and Susie Groover in 1951 and remained in their family until 1976. It has been used commercially since, including a time as a doctor’s office. 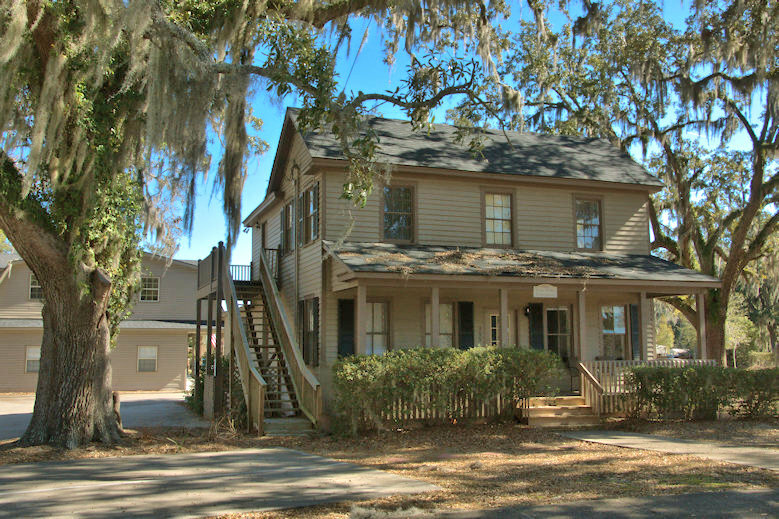 It’s one of just a few historic houses remaining in downtown Hinesville, and some say it’s haunted. This was used as the jail until 1969. 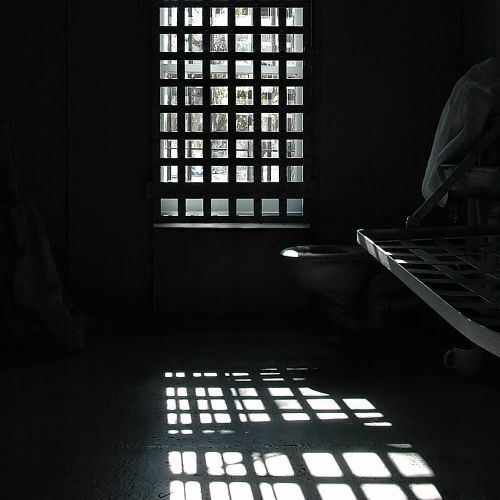 When groundbreaking for the new jail was done in 1970, Governor Lester Maddox condemned this structure as “a rotten, filthy rathole”. Harsh words, but they came at a time when jails of this era were being demolished and replaced all over Georgia. It also contained the residence of the jailer, who was often the county sheriff. The architect is unknown, but the builder was a Mr. Parkhill. 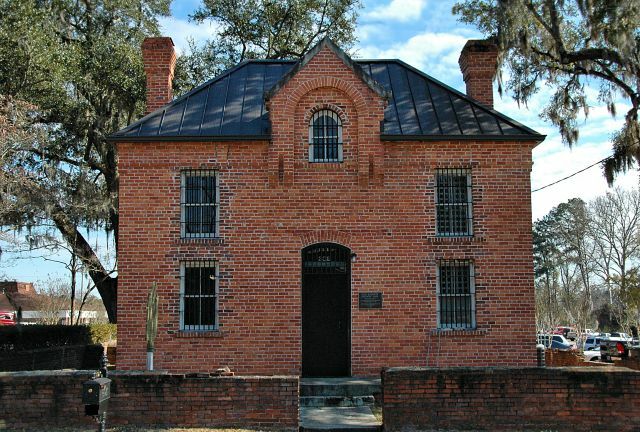 Today, the jail is a free museum owned by the City of Hinesville. It’s open from 10-12 on Tuesdays and Fridays. Built in the late 1880s, this house was the home of the Mills family for most of the 20th century. (This photo was made in February 2010). 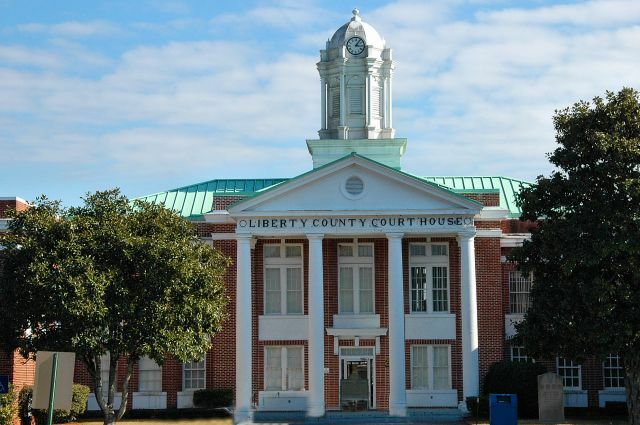 According to Virginia Fraser Evans’ Liberty County: A Pictorial History, George M. and Flora Fraser Mills moved here with their son Wallace Fraser Mills in 1903. It was recently sold by its present owners and moved to another location. 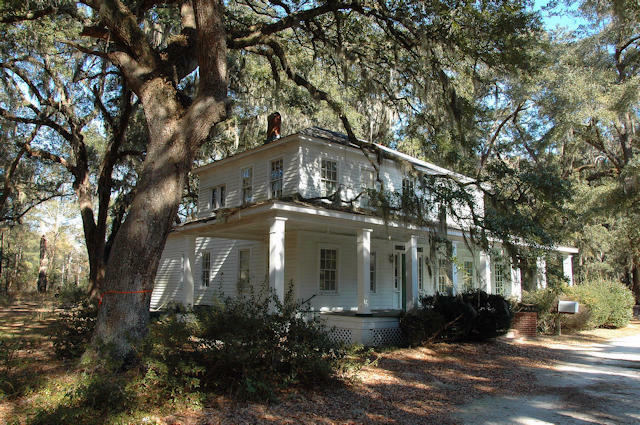 It really is a shame, as Hinesville has very few historic structures, even though it is located in one of the most historic counties in the state. Perhaps the most beautiful grove of oaks in Hinesville was located here, as well, and they were recently removed for the construction of a government building. Thanks to Della Martin for the identification.